Standard house numbers signs are now considered pass� but you can make your home fashionable again with a QR Code House Number Sign from Comfort House. 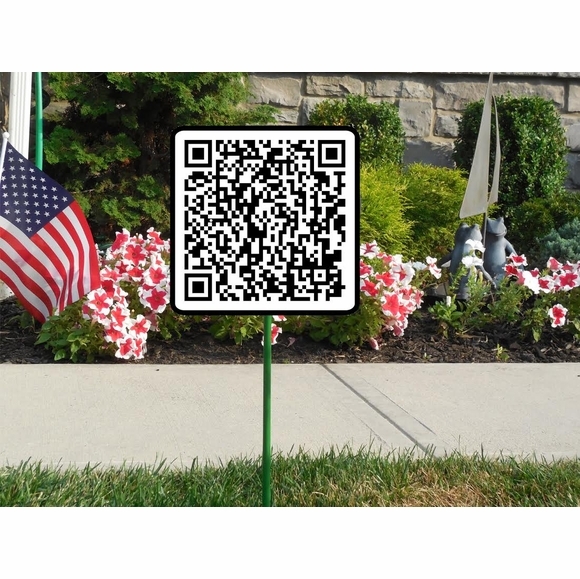 Display your address as a QR Code readable on this 11.75" square address plaque with optional lawn mount. Readable by any smartphone QR ap. Unique wall-mount square address sign is made from sturdy and UV-stabilized laminated acrylic with engraved QR code. Optional lawn mount stake available. Personalized in QR code with whatever information you specify: your house number, street name, family name, slogan, custom message, or all of the above. If a URL is provided, it will link to your website. Dimensions: 11.75"W x 11.75"H x 1/8".